I love wearing funny t-shirts. I love to have people laugh at the funny shirt I am wearing and I love reading them on other people. To me, it feels good to just burst out laughing when I see a funny tee (of course, others who see me laughing for no apparent reason probably think I’m a nut!). 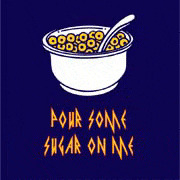 When Rizzo Tees contacted me to review one of their hilarious t-shirts, I was delighted and just a bit giddy. I checked out their collection of tees, and I had a hard time deciding which one I would like to review. 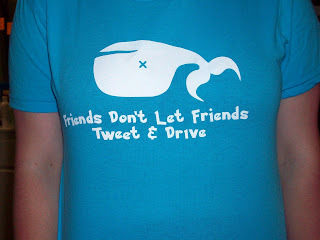 Since I am on Twitter so often, I chose the “Friends Don’t Let Friends Tweet and Drive” t-shirt…it just cracked me up. I waited anxiously for it to arrive, and I was so excited when it showed up at my door. The quality of the shirt I received was excellent. In the past, when I have ordered shirts, sometimes they are so thin that I feel like I have to wear something underneath them. This wasn’t the case with my shirt from Rizzo Tees. The quality is excellent and it is just the right thickness. It did run just a tad bit small on me, so I let my daughter model this for me. I would suggest ordering the next size up if you are ordering a Women’s Tee, or order a men’s size. We went to the mall while she was wearing this shirt, and we got several comments on it. Of course, those not familiar with Twitter were probably a little confused, but those who do “tweet” thought it was great. Rizzo Tees and its employees have been blessed with good health and a fun business. It doesn’t get any better than selling funny t-shirts, wearing t-shirts everyday and not showering for work. However, there are those amongst us that have not had the same luck of the draw, and are in dire need of our help. Rizzo Tees has committed to give 5% of its annual net profits to Food For The Poor, an organization that provides food, housing, health care, education, water projects, micro-enterprise development assistance and emergency relief to the poorest of the poor – specifically, they help impoverished people throughout Latin America and the Caribbean. Believe it or not, some of the poorest conditions in the entire world are in Haiti, a mere 90 miles from Miami. And it doesn’t get much better in many other parts of the Caribbean. As Rizzo Tees grows, we plan on raising this percentage all the way to 10%. We’ll update you on our progress here. Our annual contribution will be made in February or March, after our books close for the year. Once again, thank you for shopping at RizzoTees.com, and we hope you note that at least a portion of your purchase is going to a very worthy cause. I hope you will keep Rizzo Tees in mind for yourself, your friends, or just for funny gifts. You can purchase Rizzo Tees online. Can’t decide which shirt to buy as a gift? You can purchase a Rizzo Tees gift certificate on their site, for that hard to buy for person. They will have fun looking at the shirts and picking out their own perfect t-shirt! WIN IT! One winner will receive a $25 eGift Certificate! Certificate is plenty to cover t-shirt and shipping in the U.S.! For first (and required) entry, please go to Rizzo Tees and tell me what shirt you would choose if you are the winner! Extra entries (these can be done only after initial entry above is done). PLEASE LEAVE A COMMENT FOR EACH THING YOU DO. Follow me on Twitter and Tweet this giveaway using this phrase: “RT: Win a $25 gift certificate to Rizzo Tees – the funniest shirts around! 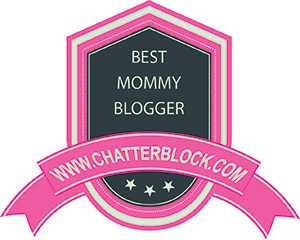 @EightyMPHMom :: http://tinyurl.com/pjs9tf” (leave link to your tweet please) – CAN BE DONE DAILY! Blog about this giveaway (linking to me – leave link to your blog post in your comments) – 3 entries, leave 3 comments. Don’t have a blog or don’t want to blog about this? Email 3 friends about this giveaway and CC me (mandjregan at gmail dot com), and leave 3 comments. Giveaway ends on August 30th at midnight (EST). Open to U.S. and Canada. Winner will be chosen using Random.org. Winner has 72 hours to reply to winning notification – if no response has been received, a new winner will be chosen. THANK YOU RIZZO TEES FOR THIS WONDERFUL REVIEW AND GIVEAWAY OPPORTUNITY! The only compensation received for any review post, is a sample of product. Compensation never has a bearing on the outcome of a review. The opinions expressed herein are those of blog author only. Blog author never gets paid to post. « Wordless Wednesday – Man screaming on scary ride!